Best for smaller aerial lifts, digger derricks and landing gear equipment. Crush Rating – The maximum allowable pressure. Working Load Limit – The maximum allowable load based on the application. Best for mobile cranes, concrete pumpers, aerial lifts and digger derricks. Best for larger mobile cranes, concrete pumpers and aerial devices. Crush Rating– The maximum allowable pressure. Working Load Limit– The maximum allowable load based on the application. 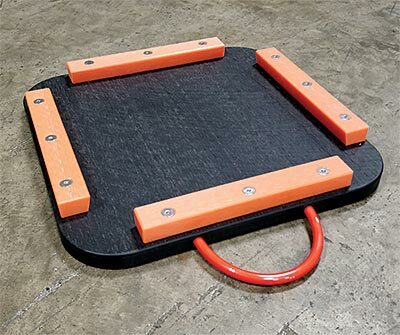 Cavity, cleated, sliding shoe, recessed radius and pole puller pads designed for specific applications. Cavity Pad Plus Stabilizer Pads have an inverted beveled edge guard that reduces the potential of an outrigger foot escape. These stabilizer pads have excellent rigidity and “nest” together for a total stored height of 3”. Cavity pads are designed to safely contain a stabilizer foot. 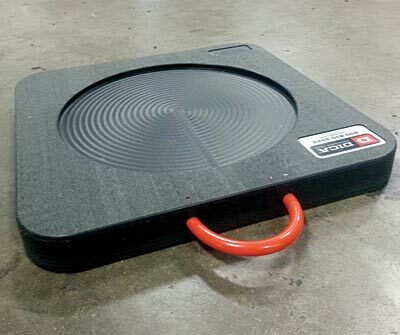 The completely solid stabilizer pad design eliminates the need for metal fasteners, providing an unbreakable foot guard. 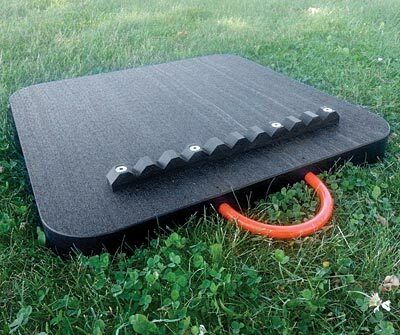 Positioned downward, the serrated cleat grips for improved traction on this stabilizer pad. When positioned upward, it provides an unbreakable stabilizer foot guard. 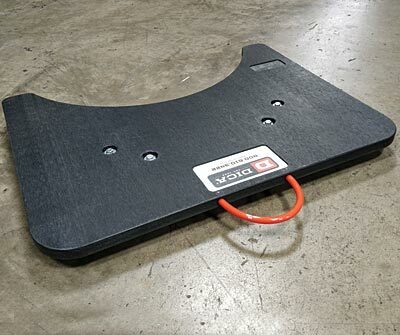 These mini crane pads easily fit onto a stabilizer foot and lock in place. 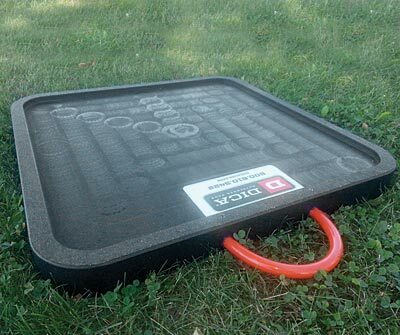 Equipment can be re-positioned or secured for travel without having to stow outrigger pads. 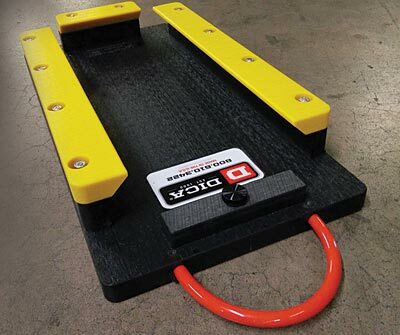 Steel hardware locks a pole pulling base plate into position and a rigid base stabilizer pad provides unbreakable support for pole pulling operations. Custom design options available. Recessed radius are designed to safely contain an outrigger foot, while the propritary engineered thermoplastic construction provides exceptional support.